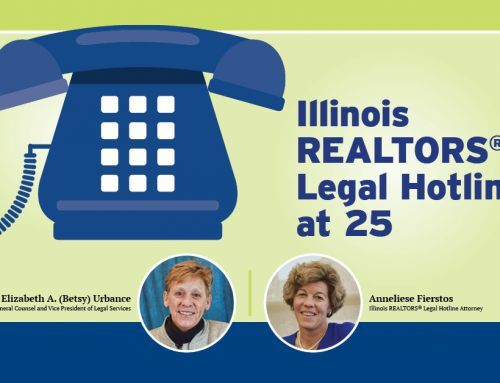 Look at the digital version of April’s Illinois REALTOR® for information that will help you better serve aging clients and potentially gain referrals for your expertise. After reading the article “Harvard research identifies looming senior housing issues,” you may conclude that identifying and meeting the needs of Baby Boomers will become increasingly important for your business. For example, as a higher percentage of the population faces health problems and mobility issues, Illinois seniors may find accessibility more difficult because of multi-level homes, winter weather or other accessibility issues. But by understanding the challenges cited in Harvard research, you may be better able to identify – and make yourself knowledgeable about – local solutions.